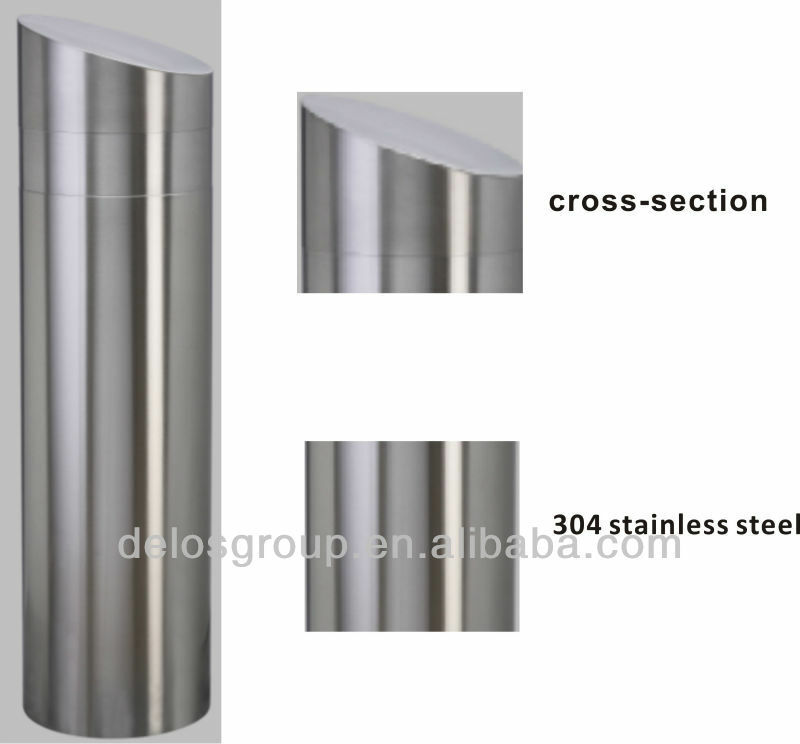 Custom and Cheap Stainless Steel Fixed parking bollard Supplier and Manufacturer.--Hangzhou Dinglong Automation Equipment Co., Ltd.
Hangzhou Dinglong Automation Equipment Co., Ltd. Custom and Cheap Bollard,Road Barrier,Flap Barrier Supplier and Manufacturer. 2.designed to match environment around it. * The fixed bollards from Deloul leads the way forward. Unobtrusive, aesthetically pleasing and incredibly strong, they provide a genuine deterrent and are ideal for applications where a permanent pattern of control is required. * The fixed bollard has been designed to control access to a site where is in need of a high level of security ,guaranteeing pedestrian access but blocking the area to road traffic. *Very high impact strength.With different colour glistening film(optional).As manufacturers Deloul is able to offer fixed bollards in almost any design, to match existing traditional street furniture or to match semiautomatic and automatic bollard application for a same area. Tips: we can adjust the size of fixed bollards according to your demand. If you need more information, pls don't hesitate to contact us.